Cross domain tracking makes it possible for Google Analytics to see sessions on two related sites (such as an ecommerce site and a separate shopping cart site) as a single session. This is sometimes called site linking. 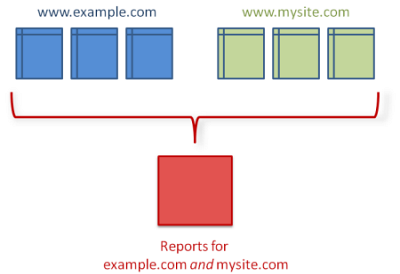 How Cross Domain Tracking Works ? Set up a property in your Google Analytics account. Use the same tracking code snippet and tracking ID from that property for all of your domains. Edit the tracking code for the primary domain. NowEdit the tracking code on the secondary domain.